Brazil is identified as the largest Catholic nation of the world with nearly 75 percent of the population identifying themselves as Catholic. However, the majority of people do not practice Catholicism. In the last three decades, Brazil has also grown to be the largest Pentecostal nation of the world. In addition to the many unreached indigenous people groups in the Amazon region, there are many pockets in this vast country where the Evangelical population is less than 2 percent. By definition, these areas can be considered as unreached people groups. Although Brazil as a whole is beginning to send their own missionaries all over the world, there is still a great need for theological clarity, evangelism, church planting, missions partnerships, and leadership training so that Brazil can continue growing as a force for world missions. For more than 70 years, our missionaries have been working with people from virtually every segment of Brazilian society. From isolated tribes accessible only by seaplane, to wealthy communities, to shanty towns on the fringe of cities, and everything in between — we’ve seen the gospel do amazing things in Brazil. But our work is nowhere near finished. 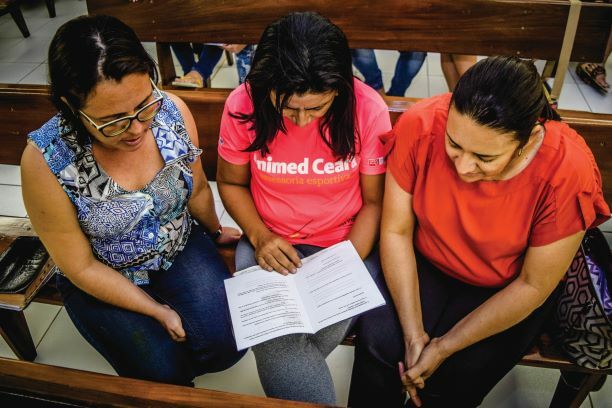 Many Brazilian church leaders still need training to help their congregations become passionate about sharing the gospel in other countries, especially where we have limited access. And in a country with the sixth largest population in the world, there is still a massive need for church planting and discipling new believers. Traditional religions and spiritism still have a hold over much of the population. Additionally, the nation is a second-home for millions of expatriates from dozens of countries, many of whom have little gospel presence. Maicol Venter shares how basketball is opening doors for gospel conversation in Brazil. Missionaries are using sports to share the gospel in surprising ways. A missionary in Brazil offers challenges for any wife about to leave for the mission field—or those still settling in. How an ABWE missionary capitalized on the popularity of American football in Brazil. ABWE’s vision to spark global missions movements — where leaders are trained, mission-minded churches are planted, and believers are compelled to carry the message of Jesus to every nation — is unfolding in real time. In 2004, ABWE missionaries challenged Brazilian church leaders to missions. Their response has been nothing short of amazing. A new missions movement is coming out of Brazil after more than 60 years of ABWE's missionaries working to equip and empower local believers. How time on the basketball court turned into a life-changing adventure into missions for one Brazilian.